Infosaic’s Database dedicated server is the ultimate performance server, capable of accommodating an expansive database with virtual environment load distribution support. 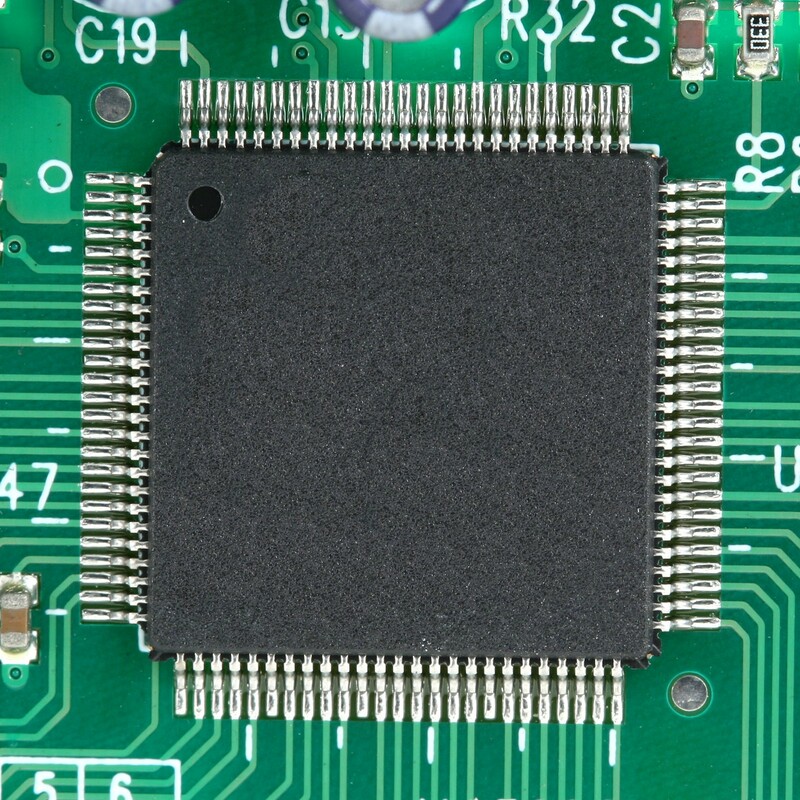 Along with access to as many as six different drives, it boasts 32 GB of RAM to support multiple instances of virtual operating systems, databases, and high-performance websites. The server comes with two mirrored hard drives, 2 TB each, producing 2 TB of usable disk space— plenty to run an operating system, a number of websites, and their related databases. Many users also have enough space to back up their production environments and create virtualized environments. You can also choose a pair of fast-speed 300GB drives, to double your read speed, or add four additional drives to distribute I/O for various purposes, like separate virtual environments or databases. 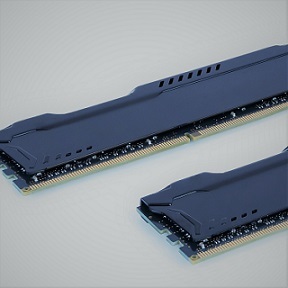 32 GB of RAM lets you run the latest operating systems and databases. In addition, it will allow you to utilize database and website caching to significantly improve your site and database performance. 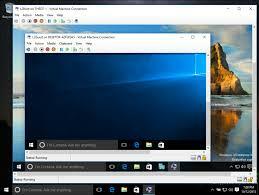 More advanced configurations, including installing a RAM disk, are also possible with this solution. 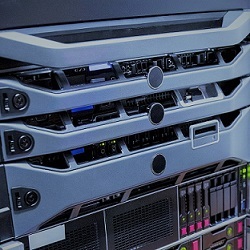 This server is ready for virtualization, with enough memory to support multiple operating systems, while still providing enough resources for websites, databases, and relevant caching. In addition to your own copy of Windows, you get full PHP support and the latest suite of ASP.net-related technologies. Two major database engines (SQL Express and MySQL) are also preinstalled and preconfigured, so you can start using them immediately. If you have any additional configuration requests, just reach out to Infosaic staff and we’ll be glad to handle them for you at no extra charge. 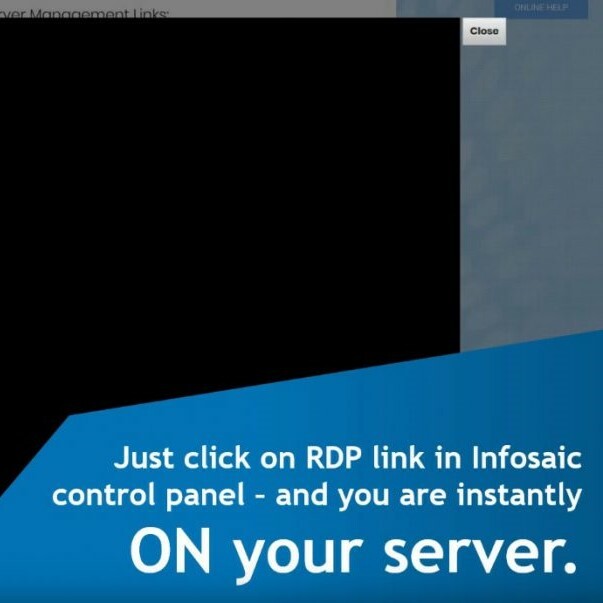 This Dedicated Server comes with standard Remote Desktop Access and FTP server access, as well as instant browser-based access, a unique feature. An email server, featuring a web interface, mobile web interface, POP3, IMAP, and other premium features, is included (click here for more info). Antivirus and spam controls are built in. SSL encryption is available via LetsEncrypt (unvalidated), and you also get FTP, advanced file manager access, and many other useful features (learn more). 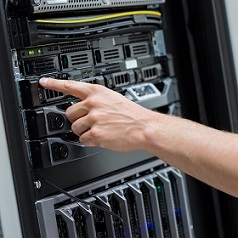 Dedicated Server comes with an unprecedented level of technical support: Infosaic staff will not only help with server configuration, but will also assist with website migration, security troubleshooting, patches, and other issues that may arise while hosting your site (click here for more info).